It seems like the kids just returned to school after the holidays in December and now March Break is just around the corner. You may already have plans for your kids or perhaps you’re lucky enough to be escaping to warmer climates. But if you’re like many parents, you need to think of how to keep your children entertained. In the summer, the possibilities seem endless — from parks and outdoor pools, to biking, and nature walks (basically anything that gets us outdoors!). But it’s a little tricky in March when the weather is still unpredictable. So, what’s a family to do? Whether you are looking for some fun indoor things to do or want some outdoor adventure, Fredericton has lots to offer and to keep you busy during March Break! How many things can you check off our list? This has become a favourite New Brunswick tradition at Kings Landing and they really know how to do it up right! Sugar Bush Weekends happen March 9/10 and March 16/17; with a short 20-minute drive from Fredericton, Kings Landing has some beautiful scenery, so be sure to have you camera ready! Hop on a fun sleigh ride through the village and warm up by the bonfire. A definite highlight for many is the 19th-century sugaring demonstration, with the sweet taste of maple candy on the snow. Yummy! Looking for more maple sugar themed fun? Follow the 102 after Kings Landing to Dumfries Maples Sugar Bush and Pancake House (7520 Route 102). An experience in itself, you can enjoy a delicious maple breakfast on Saturdays & Sundays in their Cedar Log Cookhouse or if you fancy a walk, bring your snowshoes (or boots) to take a stroll through their woodlot and sugarbush! 2. Play in the great outdoors! Skiing at this time of year is awesome! Temperatures are starting to hover around the pleasant and if there is some fresh powder, well then that’s just a bonus! Crabbe Mountain is home to the largest vertical descent in the Maritimes, so take advantage of a little (almost) spring skiing! This March Break, Crabbe Mountain is open every day and will have lots of activities for kids and adults alike! Moco Mactaquac and Mactaquac Provincial Park are cooking something up for March 6! Come taste their local flavours and enjoy free fat-bike rentals, afternoon sleigh rides, guided hikes, snowshoeing and cross-country skiing. But that’s not all they’re offering that day, come and see for yourself! There is no better way to expend some energy than a little running, jumping and bouncing! We have a few different ways that the kiddies can do this; and the beauty of it is it’s all indoors, so perfect for the “not so nice” weather days. Play Days Indoor Fun Entertainment Centre – NEW! Located inside the Brookside Mall this new play centre is filled with an interactive game room, bouncy castles, pool table, ping pong, baby/toddler area and snacks for sale for all! If that isn’t enough activity for you, head to the Capital Exhibit Centre for a veritable plethora of inflatable fun with Quillis Inflatables! Bouncy castles, ball pits, slides all guaranteed to get your little one moving and suited to kids 13 and under. There’s even an area dedicated to toddlers under 3 years! Parents and kids under 1 are free; 1-2 years: $5 and 2-13 years is $10. 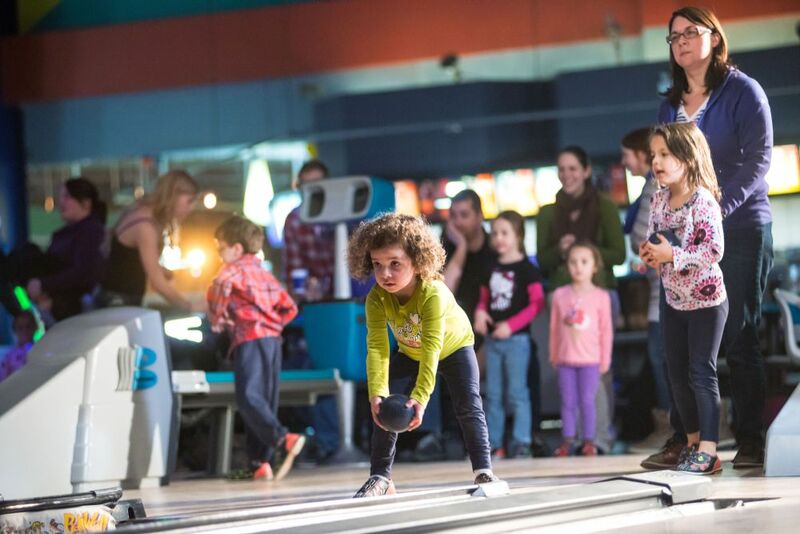 Team up with your kids and join in the fun with some cosmic or candlepin bowling or a game of laser tag. The Kingswood Entertainment Centre has this as well as an amazing obstacle course and an arcade! You can sign your kids up for the March Break Camps too! It's always a fun and exciting week filled with lots of indoor and outdoor activities plus a healthy atmosphere where kids can learn new skills and make new friends. Located on site is a lunch counter and a Pizza Hut Express. Make a day of it! 4. Get messy, get creative & learn something new! A great way to spend the afternoon, Clay Café is a “paint-your-own-pottery” studio for all age groups. It’s a nice, relaxed, café-like atmosphere for anyone who likes to paint pottery, or for just a day of fun creativity! The studio itself has over 300 kinds of pottery to paint, things like bowls, mugs, teapots, vases, just to name a few. Your biggest dilemma? Deciding which piece to paint! Think your child is a budding artist? The Beaverbrook Art Gallery have March Break camps for kids ages 5-12 who like adventures in art! Discover the world of art in the heart of Fredericton and explore new media and techniques each day. Come for one day or the whole week and experience a range of creative indoor and outdoor activities. But be warned: this may be the beginning of having an artist in residence! Learn science – the fun way! This interactive science adventure is waiting for you! Housed in the old Fredericton gaol (it was a maximum security prison until 1996!) it is both a historical curiosity as well as a great way for everyone to learn a little science! The staff at Science East are eager to impart all kinds of really cool experiments, and because this unique science centre is very hands on, it is also very easy to (gasp!) learn something new too! Looking to sign your child up for a very cool week of learning? Their March Break science camps are the way to go! No devices needed here! Kids can have fun without the electronics and be swept up in the world of board games, books and puzzles! Care to play a game of Scrabble, Risk or Settlers of Catan? The Unplugged Board Games Café have these along with over 500 more games to choose from! For a small cover charge ($5) the biggest dilemma you’ll have is choosing which games to play! Bring the whole family and settle in for a games day. The helpful staff are board gamers themselves and are more than happy to answer any questions. Have a bite to eat from their menu and a drink. Love one of the games you’ve played? You may even be able to buy one on site! How does solving a puzzle while locked in a room sound? This is what an escape room is all about! It’s a live-action, team based game where you and your group are trapped in a room and have 60 minutes to escape. This alternate reality adventure involves finding clues, solving riddles, completing puzzles, and overcoming obstacles to ultimately accomplish your mission and escape the room before time expires. There are a couple of Escape Rooms in Fredericton. Check them out! Take a trip to the local library! The Fredericton Public Library boasts lots of space to spread out and curl up with a good book. There’s a variety of fun activities over March Break; for the little ones, they’ll enjoy Minute to Win it games, paint n sip events and movies (to name a few); for the teens, they’ll be learning how to make slime, bath bombs and disassembling electronics! Some activities require you to pre-register, so check out their facebook page for details! Of course, everything we talk about in the blog is family oriented, but here’s something JUST for the adults! The Fredericton Craft Beer Festival, March 7-9 , where you can sample over 40 different beers from the region, and don’t forget the cider and mead. Definitely worth checking out. The Crowne Plaza is located in the downtown of the city, so easy access to many shops, restaurants and activities. Guest rooms start at $ 124 per night + tax (*some restrictions apply) plus all of the great features such as free wi-fi, salt water pool and hot tub, fitness room, steam room. Quote the “March Break Special” to receive your deal. The Delta Fredericton is offering a special room rate of $134.00 during March break, and be sure to ask about their “Ski & Stay Package”! The Riverside Resort, only 15 minutes from downtown Fredericton, is offering a special rate starting at $89.00 for a Standard Room. This brand new hotel boasts spacious rooms, lobby and delicious food at the onsite restaurant. With Kingswood Entertainment Centre at their doorstep, this hotel is pleased to offer a March Break Entertainment Package: $169.00 and includes one night accommodations for a family of four and a day of fun next door at Kingswood Entertainment: 1 hour bowling, shoe rentals, lazer tag games or play zone bracelets, $10 Arcade cards. The Ramada is a great spot to bring the kids! A 10,000 sq. ft indoor courtyard, pool, hot tub, games area restaurant and Pier 23 pub and patio. The Ramada’s March Break deal from Sunday-Thursday is $109.00 with 2 breakfasts included and Friday & Saturday it is $119 with 2 breakfasts. Whether it is a “staycation” or you decide to spend March Break in Fredericton, we hope our list will help you plan a fun filled week in the capital city! Wonder what’s going on in the capital city? 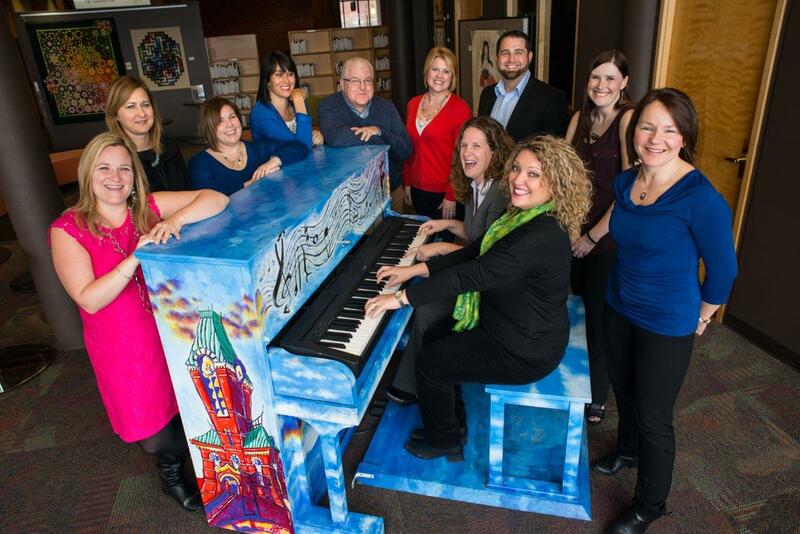 Stay up to date with what’s happening in Fredericton! Visit our website’s Calendar of Events.